Summer is upon us and I am trying to soak it all in! 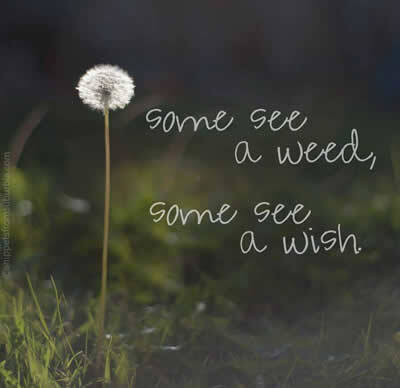 This quote reminds us that perception is everything. And this dandelion reminds me off many childhood summers of going to the park, chasing fireflies and running home when the street lights came on with Kate! Keep it up, you blogger, you.